Originally released in 2003, this is Bardo Pond's sixth release. 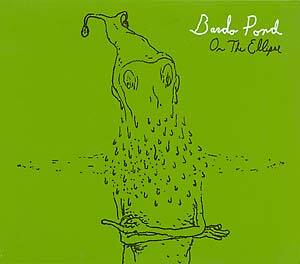 Formed in Philadelphia in 1989 by brothers John and Michael Gibbons, Bardo Pond is one of the most mesmerizing bands of the past few years. On The Ellipse sounds like a heavy mix of Sabbath riffs blended with the folk beauty of Led Zep III -- a broad-stroked swirl of heavy riffs, improvised jams and acoustic meditations. Often quoted as being Mogwai's favorite band, Bardo Pond performed at the very first ATP festival, as well as being hand-picked by Sonic Youth for their ATP in Los Angeles. Both heavy and intense, Bardo Pond possesses a hypnotic spell that lures you into a psychedelic lair and always leaves you wanting more.